The president, who is 6 feet, 3 inches tall, now weighs 243, four pounds more than last year, the White House physician said Thursday. 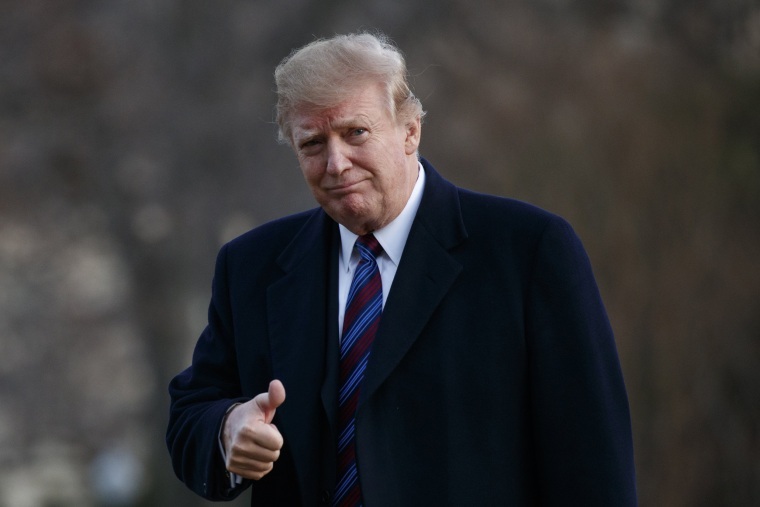 President Donald Trump is in good overall health, although a 4-pound weight gain since last year puts him into the obese category, according to a memo from the White House physician Thursday. The new details on his health come after Trump, 72, underwent four hours of tests at the Walter Reed National Military Medical Center on Friday for his annual physical. "After taking into account all the laboratory results, examinations and specialist recommendations, it is my determination that the president remains in very good health overall," according to the White House doctor, Sean Conley. Trump, who is 6 feet, 3 inches tall, weighs 243 pounds, the memo said. That put his body-mass index at 30.4 and anything greater than 30 is considered "obese," according to the National Institutes of Health. In 2018, Trump came in at 239 pounds, which put his BMI at 29.9 and in the "overweight" category. The president does not smoke or drink, but famously enjoys fast food. The president's other vital signs this year were normal, and his total cholesterol was down from 223 to 196. The decline is likely due to an increase in his cholesterol medication from 10 mg to 40 mg, NBC medical analyst Dr. Shamard Charles said.